Ok, ok, so techically this isn’t ratatouille. 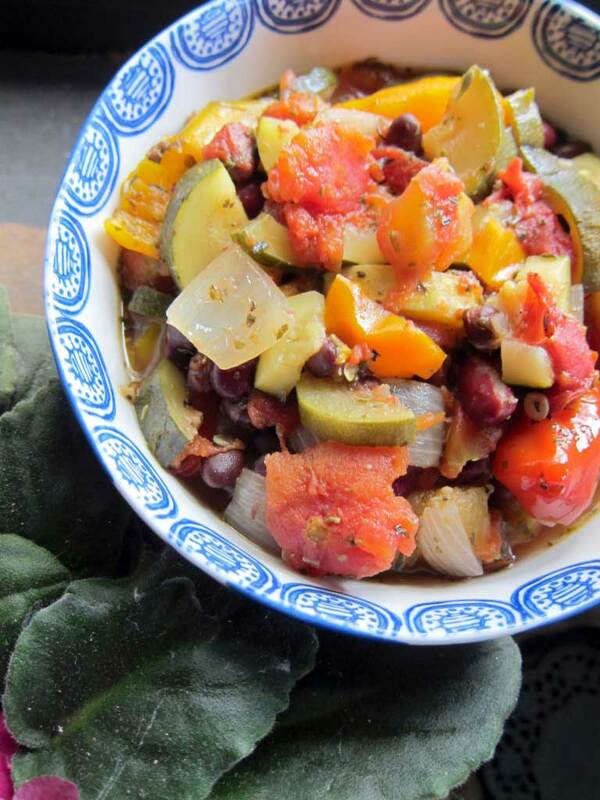 But if ratatouille and vegetable chili had a love child, this would be it. 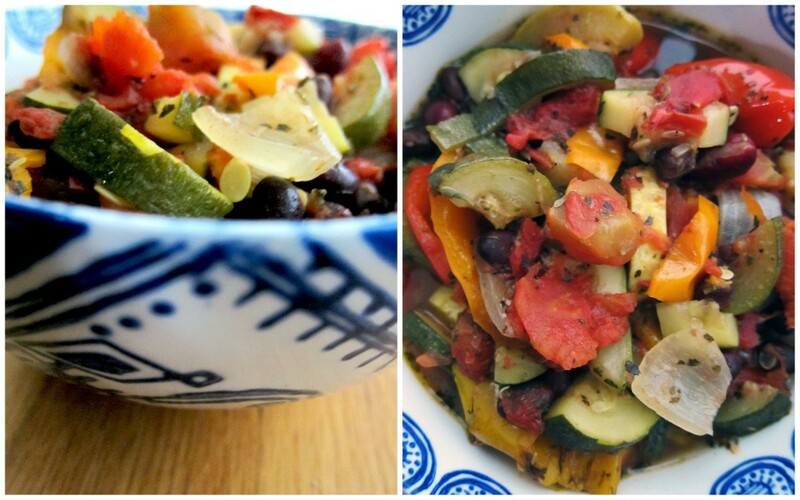 I love ratatouille, but it doesn’t have the protein I need to support my active lifestyle. 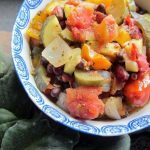 This is the perfect recipe for a hot summer day when you don’t want to be anywhere near a stove or oven (which has been pretty often in Wisconsin the last few weeks). 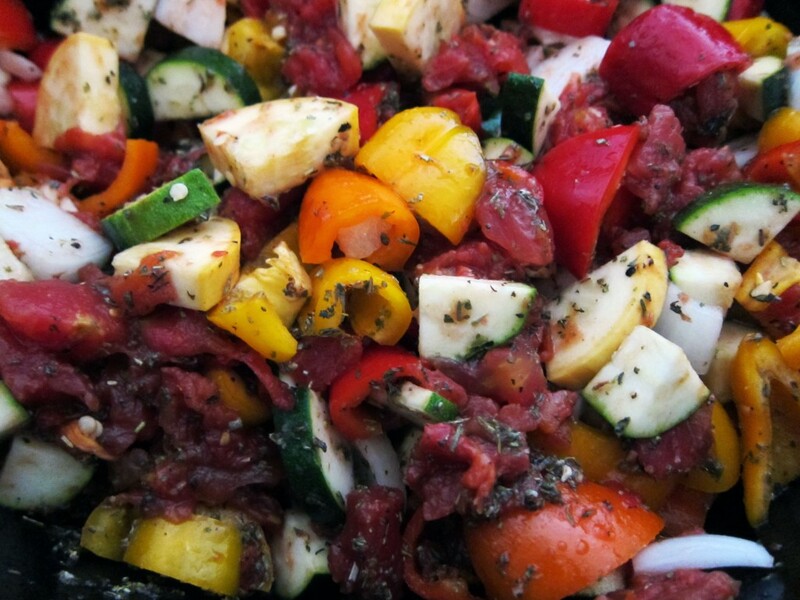 I come back to this recipe again and again because it makes me feel good to eat it. There’s just something about eating a stewy, veggie-packed dish that’s vegan and high in protein that makes me feel like I can accomplish anything! It’s really the perfect recipe for my busy lifestyle. Combine all ingredients in a 5-6 quart slow cooker. Cook on low for 6 hours, stirring occasionally. Top with feta if desired. That’s it! wow that looks fantastic! Can’t wait to try it.